Sunday at 5:40AM I biked Lake Shore Drive as part of Chai Lifeline’s Chai Cyclists. It was misty and foggy for most of the ride, not exactly picture perfect weather like previous years, but still amazing. I had hoped to bike 45 miles in just over 4 hours, but in the end I spent 5 hours biking 52.5 miles, the last hour in the rain. 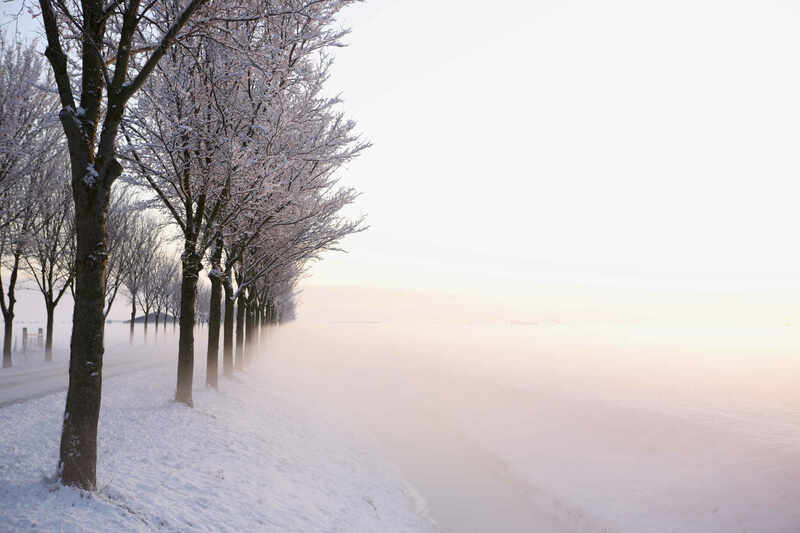 At first the fog wasn’t a big deal to me, even though it seems that less people we on the Drive this year. When it started misting, I found myself stopping and cleaning my glasses. It seemed like my first 45 miles went fairly smoothly. 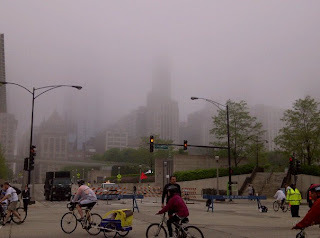 While I was thrilled to be biking when it was overcast and 60 degrees, the fog was intense and landmark sites like Buckingham Fountain, the Field Museum, and Soldier Field seemed to disappear as I biked past them. Things were going well until the rain came at 9:30, when they start clearing the bikers off of Lake Shore drive (think of it as the Belt, or the Van Wyke). We were all directed to take the “bike path” along the actual lake. On any other day this would have been quite the scenic route, but then it the light mist turned to rain for those last 60 minute and time moved slowly. It wasn’t all that bad. Prior to the rain, I was able to listen to the first three of Rav Moshe Weinberger’s Pirkei Avos shiurim, which were great. The music that played after those kept me moving even as rain seemed to find me, despite my wishes. It was a victory for me and for the children and families that are continuously helped by the efforts of Chai Lifeline. I was greeted with cheers from the staff and my brother, who came in from Brooklyn, for my accomplishment. After the event I went back home with my brother and a close friend/fellow Chai Lifeline cyclist (since he drove us downtown) to be greeted by wife, kids and my friend’s family for a gala breakfast that Mrs. Uberdox made for us. For those that sponsored me, thanks!!! A blog post or a thank you letter doesn’t really do justice to how you have directly helped Chai Lifeline by sponsoring me for this event. My total raised: $2,448. This entry was posted in Bike the Drive, personal, Weinberger on June 2, 2011 by Neil Harris.